We get files from our desktop computers to our iPads in many ways. Generally, we move files to a DropBox folder and then retrieve them later with a variety of apps… most often GoodReader. 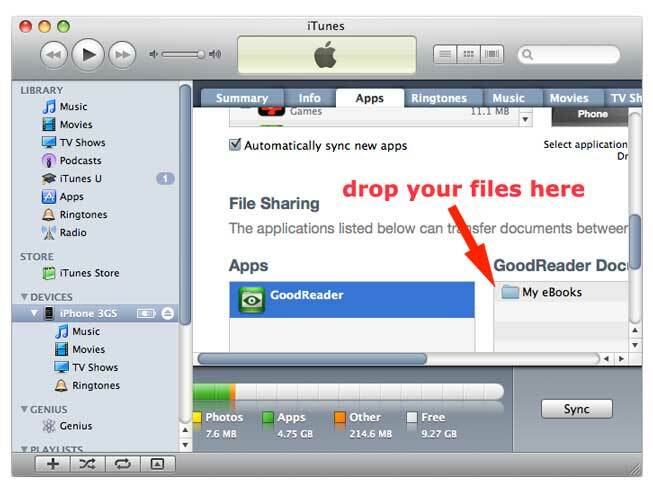 A feature GoodReader offers is the ability to have a GoodReader folder appear in iTunes via the Apps tab (at the very bottom of the page) when Syncing. 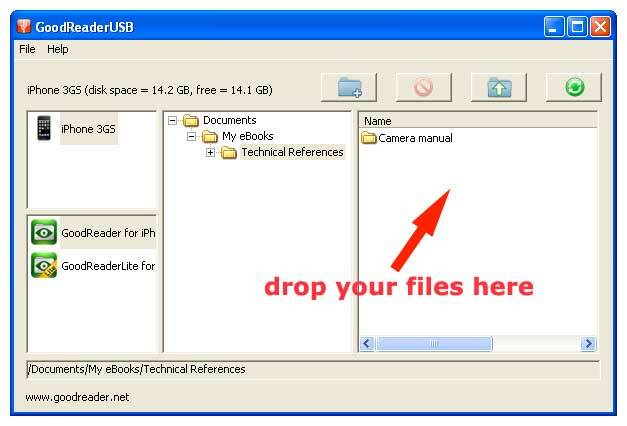 Just drag your files onto that folder and they are installed. Two limitations, you are connected to iTunes so there is a lot of backup and syncing wanting to go on at the same time… which takes time. 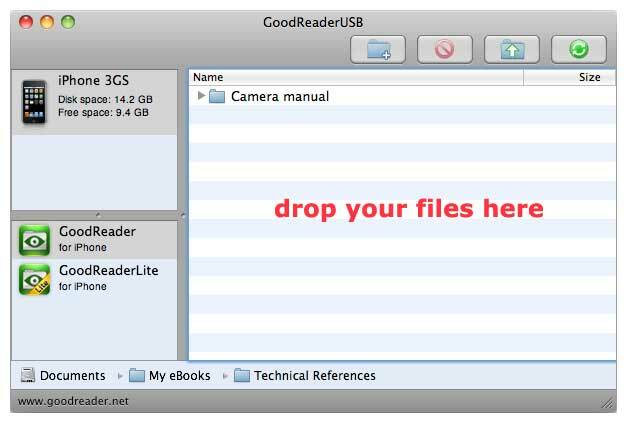 And, Apple only allows you to add to the top level folder of GoodReader. The developer of GoodReader, Good.iWare, offer a desktop app that allows you to manage your files on the iPad outside of using iTunes. Running the software with the iPad (works with the iPhone too) gives you access to add folders and files… multiple files at one drag and drop.